Engine House #1 is located in the heart of the district at 3241 Lemay Ferry Road at Dovedale. 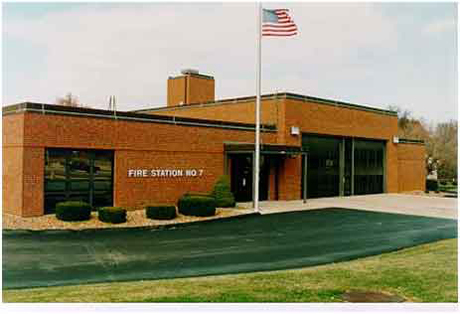 Home to Pumper Company 1710, staffed with three firefighters and fire/medics, and ALS Ambulance 1717, staffed with two paramedics, Engine House #1 is strategically located with easy access to interstate highways and major traffic arteries. 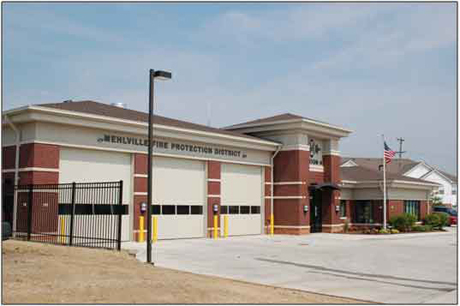 As a result of this location and the population density of the area, these two emergency response units are Mehlville's busiest, answering in excess of 4,100 Fire and EMS calls per year. Engine House #1 was built in 2006 and was the beginning of the Engine House Replacement Plan. The current engine house replaced Mehlville's first original engine house at Lindbergh and Lemay Ferry which was built in 1957. Engine House #2, located at 5434 Telegraph Road, is home to Engine Company 1722, staffed with firefighters and fire/medics operating a 75-foot aerial ladder with rescue capability, and ALS Ambulance 1727, staffed with two paramedics. Engine House #2 responds to emergency calls at the southeastern part of the District and generally serves the community of Oakville. It is Mehlville's second busiest station, serving an area from Telegraph and Susan on the southern end, the Mississippi River on the east, Jeffersonian on the north and Ringer Road/Burlington Northern Railroad to the west. Completed in April, 2009, the 6,554 square foot facility is an energy efficient building with three engine bays. Its design incorporates the possibility of future expansion, provides a safe and comfortable working environment for the crews, and fits into the visual aesthetic of the neighborhood. Engine House #2 replaces the old Fire House #2, built in 1957, located at 5610 Telegraph. Engine House #3, located at 4811 South Lindbergh, is home to Paramedic Pumper 1730, staffed by three firefighters and fire/medics, and ALS ambulance 1737, staffed with two paramedics. It serves an area from I-44 /City of Crestwood on the north, Grant's Farm/Baptist Church Road on the east to Kennerly Road on the south and I-270 on the west. 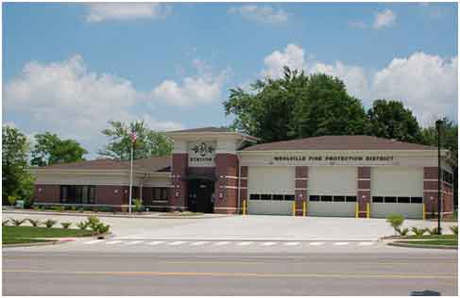 Completed in 2012, the 12,878 square foot facility is an energy efficient building that features a training tower that allows crews to train on confined space evolutions, platform and aerial ladder maneuvers, hose and water supply drills and standpipe connections. The tower also allows firefighters to train in high angle rescue where they are able to rappel its five stories. 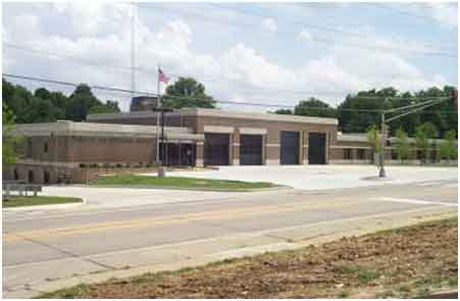 Engine House #3 replaces the old Fire House #3, built in 1958 at 11625 Sappington Barracks Road. Engine House #4, located at 13117 Tesson Ferry, is home to a 75' Quint 1742 staffed by three firefighters and fire/medics and an ALS Ambulance 1747 staffed by two fire/medics. Its response area is in the southwest side of the District and extends from Tesson Ferry and I-270 all the way south to the Meramec River. Completed in 2011, Engine House #4 is a 3 bay engine house fully equipped with a fitness room, training mezzanine and decontamination room. It replaces the old station at 13106 Tesson Ferry Road. 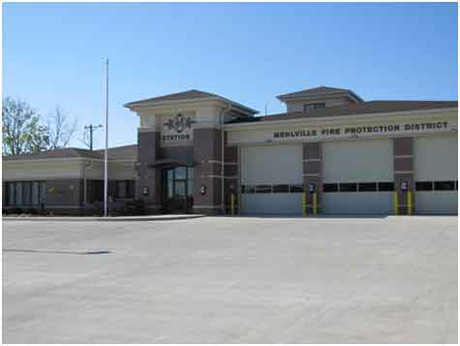 Engine House #5, located at 11020 Mueller Road, is the main headquarters for Mehlville Fire Protection District. In addition to the administrative offices, this facility houses the Training Center, Board Room, the Office of the Deputy Chief and storage for emergency supplies and equipment. The following companies are stationed at 5 House: Pumper 1750 (3 firefighters and fire/medics), Rescue Squad 1756 (2 firefighters and fire/medics), the 100' Aerial Platform which the crew from 1750 also staffs and an ALS Ambulance 1757 (2 Fire/Medics). 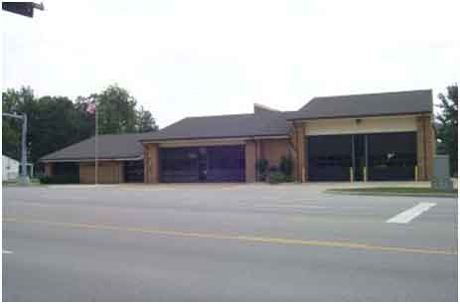 The fifth busiest station in the District, Engine House #5 covers an area from I-55 on the east to Gravois Road on the north and I-270 on the south and Concord Village Avenue/Baptist Church Road on the west. Engine House #5 was opened in 1971 and extensively remodeled and expanded in 2001 in order to accommodate the growing needs for space for storage, training and additional future emergency crews. 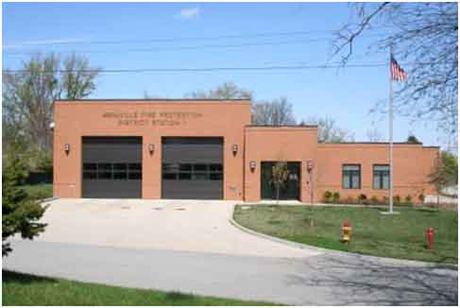 Engine House #6, at 6870 Telegraph Road, serves the southernmost region of Mehlville Fire Protection District. It is home to Pumper 1760, staffed by three firefighters and fire/medics, a reserve 75 foot aerial ladder, a reserve ambulance, the Trench and Shoring Unit, the District's only 4-wheel drive pumper used for remote areas and snow emergencies, and a mechanic shop for apparatus repair and maintenance. Engine House #6 has a response area that includes the Mississippi River on the east, the intersection of Telegraph and Christopher on the north, and the Meramec River on the south and west side . Engine House #6 was built in 1978, and the mechanic shop was added in 1998. Engine House #7, built in 1981 at 5501 Old Lemay Ferry Road, is strategically located near the middle of the District. It is home to Pumper 1770, staffed by three firefighters and fire/medics and Ambulance 1777, which is staffed whenever manpower allows. It covers an area including I-55 to the west, the Meramec River on the south, Mattis Road on the north and the Burlington Northern Railroad to the east.